Imagine your project! Call to set up a free consultation! Start the creative work! Perform it! After 40 years of writing Arts in Education, Artist in the Community grants,Technical Assistance, Professional Development and Individual Artist Fellowship applications and grants Barbara L. Gregson knows what the process is, how to write arts grants, what is required and how to get the funding needed for her projects. I have a 95% success rate, receiving funds from over 400 grant applications so that I could create the shows and theater projects with all types of schools, hospitals, and diverse state and local non-profits and institutions. I am very proud and honored that I have been able to receive so many grants over the years in order to do the creative work that I want to do and with people that I want to work with! Barbara L. Gregson has been an arts consultant for many non-profits helping them build their arts programming in theater and visual arts as well as what kind of grants do they can apply for. 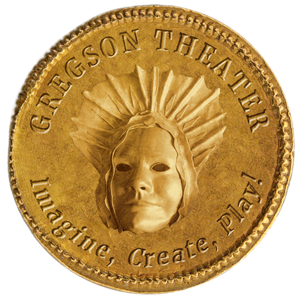 Gregson Theater can consult with your school, nonprofit, arts organization, private institution, theater companies and individual artists. Together we can explore how you can build a more dynamic and inclusive arts program at your organization. For Individual artists, and teachers, Barbara can help you find and write “Arts in Education” grants and “Community Art” grants from your local and state Arts Councils to enrich your work as an artist or for your students. 2000-Present: I have received many Technical Assistance (T.A.) and Professional Development Grants to teach teachers and consult with organizations about their arts programming. Some of the arts organizations and state arts councils that I have received grants from are: Pennsylvania Council On the Arts (PCA), NYSCA, Very Special Arts of PA, Leeway Foundation, Art Reach, Chenango County Council on the Arts, and CNY Arts. 2011: Technical Assistance Grant from PCA to help the Women’s Community Revitalization Project build an After School arts program in inner city Philadelphia housing project. 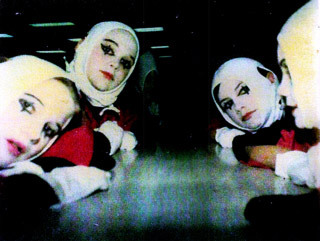 2010: Technical Assistance grant from PCA to help Red Square Theater Co. Research grants and places to perform. 2009: Technical Assistance grant to help Jericho Arts Council, Bainbridge, NY develop an Arts in Ed. program. Grant was from Arts Partners, Syracuse, NY). 2007: T. A grant from Liberty Resources, Inc. And PCA. Philadelphia to build the Independence Arts Studio. 2007: Leeway Foundation “Arts and Social Change” grant to consult with NIAD “Oakland, Ca. 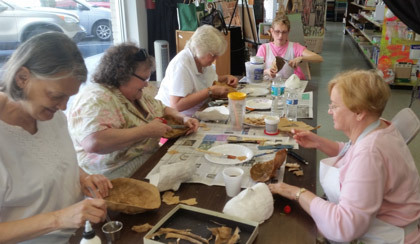 to start IAS, (The Independence Arts Studio), an art studio for adults with disabilities. See press kit including resumé for more info. Call Your local State Arts Council and find out about what type of grants are offered in your state to non-profits and schools. Usually every state arts council has an “Artist in the Community” grant to bring artists into a community setting and they have an “Arts in Education” grant specifically for schools. NOTE: You may need a Fiscal Sponsor if you are a state or national organization or are a 501c3 non-profit organization in another county or state or are a for-profit organization. Don’t worry. All is not lost! Finding a Fiscal Sponsor: Call your local community organizations that could sponsor your artist, organization and project, such as the local Lions Club, Rotary, Moose Lodge, Elks, church or the PTA that may already support your organization. You can find out about Fiscal Sponsors online at fiscalsponsordirectory.org. Once you know what the grant is you are applying for, contact Ms. Gregson to set up a meeting by phone to discuss your needs, goals and possible theme and any ideas you might have and arts programming you are interested in. For a theater residency, Barbara will meet with any of the key players who are writing and implementing the the grant and project, preferably face-to-face. We can use video conference such as Skype or Google Hangout if needed. We will have several planning meetings during the duration of the residency (before, during and after) to ensure good communication and that we have reached our goals for the project.